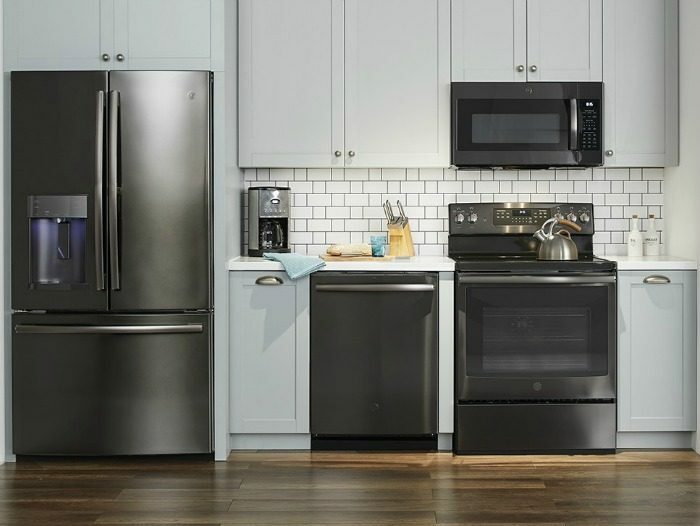 Best Buy $500 Rebate On GE Premium Finish Options Appliances! You are here: Home / Great Deals / Best Buy $500 Rebate On GE Premium Finish Options Appliances! This post was sponsored by Best Buy – All opinions are my own. Summer is a great time for home renovations. Many people buy and sell in the summer, too, and the most important features most buyers are looking for are in the bathroom and the kitchen. If you’re looking to renovate your kitchen – Best Buy is the place to go! Right now there is a $500 rebate if you purchase one of four qualifying GE appliances in select finishes! That’s a whopper of a rebate! GE has these great premium finish options, giving you the ability to design a kitchen that reflects you and who you are! The black stainless finish is sophisticated and bold. The finish is high-gloss which makes any kitchen shine! A great plus is the fingerprint resistant feature – it makes it easy to clean when little hands are about! Black Stainless was designed for those who want to make a statement. Combining a glossy, bold black hue and the contemporary brushed metal appearance of stainless steel. Black Stainless adds sleekness and originality. It wipes clean in seconds, remaining free from smudges, but full of character. Stop by Best Buy and take a look! You’ll fall in love with these gorgeous appliances for your kitchen.